By their very nature, power lines are hazardous and difficult to inspect. Up to 400 KV of electrical current running through millions of miles of cables at a height of around 55m, connecting communities and businesses around the world. Our reliance on electricity is at an all-time high and even the smallest power outage instils panic in the average citizen. Powerline surveys have historically been a time consuming yet crucial process for electricity providers who have the responsibility to ensure that our connected world remains connected. Here, we discuss how drones can revolutionise powerline surveys– improving safety, lowering costs and ensuring uninterrupted connectivity for the masses. At their most impactful, drones help make jobs safer. Forget about the data for a second and consider the safety benefits of having an ‘eye in the sky’. Surveying tasks which previously involved placing workers in harms way are now carried out from a safe distance. Some of the most dangerous jobs in the world are now benefitting from the power of remote surveys – Agriculture, Mining and the Emergency Services are all investing in drones in a big way and realising huge reductions in hazards onsite whilst benefitting from detailed data to make more informed decisions on the ground. Drone safety is still a consideration for powerline surveys, despite inspections often being carried out in remote areas. Collision avoidance is a key feature to consider to protect workers and equipment from damage while powerline inspections are being carried out. 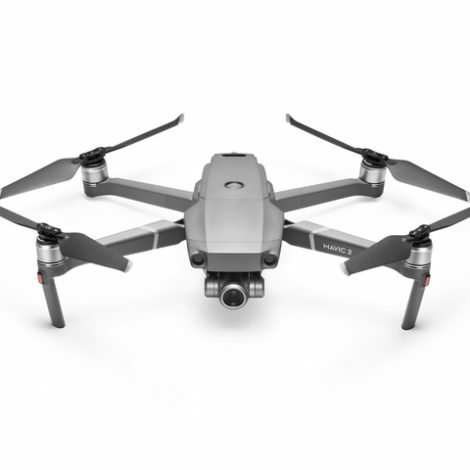 Many survey drones have collision avoidance technology already built in, but powerlines radiate magnetic interference which can scramble the GPS leading to unpredictable flight control and even crash landings. 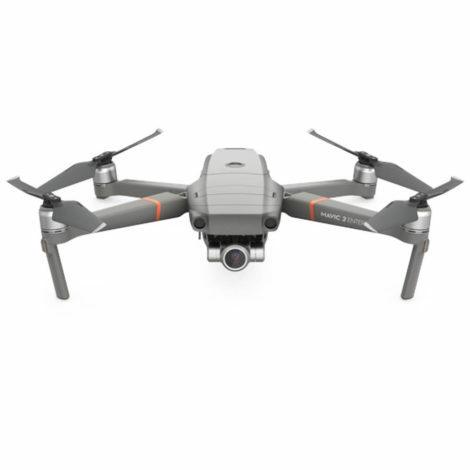 Drone manufacturers are continually looking at ways to stabilise drone flight, with systems such as the DJI Matrice 210 RTK being specifically designed to withstand external influences. The M210 RTK works alongside a D-RTK base station which with dual antennas, significantly reduces the impact of magnetic interference from metal structures. Working at the heights required to inspect tall structures such as pylons used to involve the specialist skills of rope access professionals or expensive equipment. 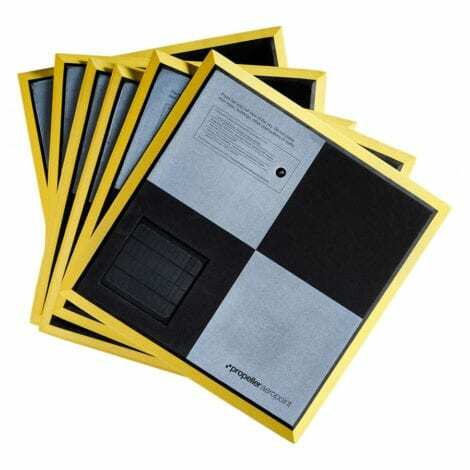 But often the terrain involved in powerline surveys makes accessibility an issue. The remote nature of drone surveys not only removes the need for placing operatives at risk but also allows survey teams to reach areas which were previously difficult or impossible to reach. Drone surveys can be conducted across remote areas where vehicular and pedestrian access are limited or in areas where severe hazards are present. It’s not only accessibility which is improved by using drones for powerline surveys. Enhanced visibility is also another key benefit. Thanks to the range of drone sensors now available, powerline inspections can be carried out in much greater detail than ever before. DJI cite the M210 RTK as being ideal for infrastructure surveys thanks to its ability to mount dual sensors. 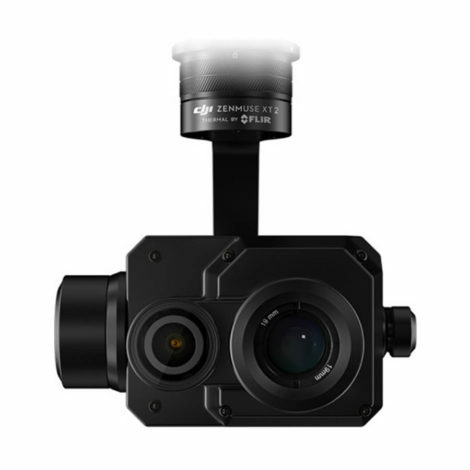 Being able to combine the detail collected by a x30 optical zoom camera such as the Zenmuse Z30 with high-resolution thermal data is a game changer for those in the powerline survey business. Pylons are complex structures and inspections of each element are required to ensure that weather conditions and pollution haven’t caused excessive corrosion or weakening of discs and insulators. Using the M210 RTK, it’s possible to simultaneously collect thermal data and highly detailed imagery with the ability to switch between views in real-time, all at a safe distance. The data is also able to be compared over a set period, allowing for retrospective analysis and pre-emptive measures if the asset condition worsens over time. The amount of time it previously took to scale each pylon or distribution pole could mean months spent inspecting one network. In 2005, the National Grid consisted of over 15,000 miles of cables, and around 88,000 pylons connecting 181 power stations across the UK. One powerline survey company commented that using traditional survey methods, they could currently only manually inspect one or two pylons per day. Without even landing to perform a battery swap, a drone can potentially survey around three pylons in a 30-minute period. With approximately 4 pylons to every mile of network, let’s assume we’re comparing the fastest powerline survey team in the country. With the best luck in the world, it could take a full working week to adequately inspect 1 mile of cables and infrastructure. A drone survey team could potentially cover over 100 pylons in the same space of time, with enhanced imagery and geopositioned data available for the creation of more accurate maintenance plans. One of the biggest challenges of infrastructure maintenance is the will of mother nature. Assets such as substations, powerlines, pylons and telegraph poles are all exposed to the elements, making regular inspections a necessity to spot wear, corrosion and animal damage. Vegetation growth is also a critical issue for teams responsible for the maintenance and repair of powerlines, including railway traction lines and overhead tram wires. One of the downsides to drone inspections is the reliance on 2D imagery from standard or even thermal camera set- ups, something which even the most advanced system can’t overcome. A camera only sees what the human eye can see, even from an aerial perspective. This is where super-sensors, such as LiDAR, come into play. Capable of measuring up to 1,000,000 measurements per second, LiDAR systems calculate distance by timing how long it takes for pulsed light from a laser to be reflected back to the system. The resulting measurements are then combined to create a 3D model or point cloud of the target area or object. Previously, LiDAR systems were too heavy to be mounted to a standard survey drone, but recent advancements have meant that systems such as the ScanLook Revolution can weigh in at a mere 1kg – light enough to be lifted by a standard survey drone. LiDAR offers specific advantages in powerline surveys thanks to its ability to identify and scan through dense vegetation. Standard drone imagery captures only the top canopy, whereas a laser can pass through gaps in leaves and branches and reflect from the ground to register obstruction heights for vegetation clearance works. 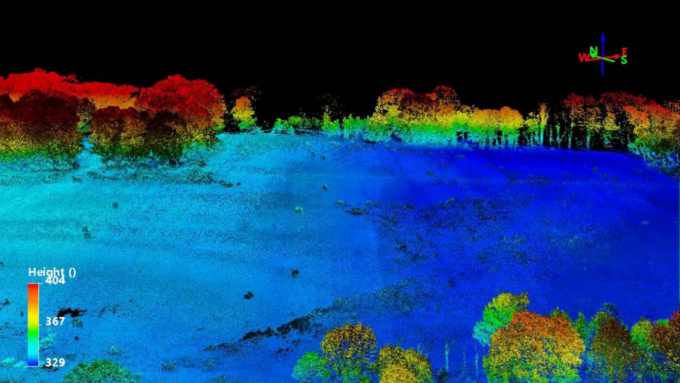 When it comes to surveying across large areas or estates, LiDAR derived point clouds also offer the ability to identify, extract and catalogue specific assets – ideal for mapping powerlines, substations and structures. 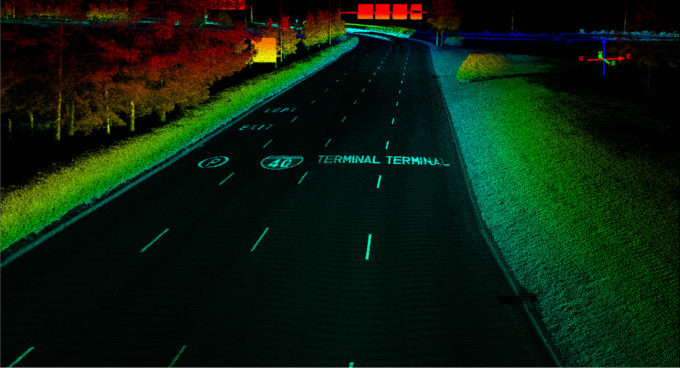 The M210 RTK’s dual gimbal capacity offers the option to mount both a LiDAR system and high-definition camera which means that geopositioned point clouds can be overlaid onto colourised images. 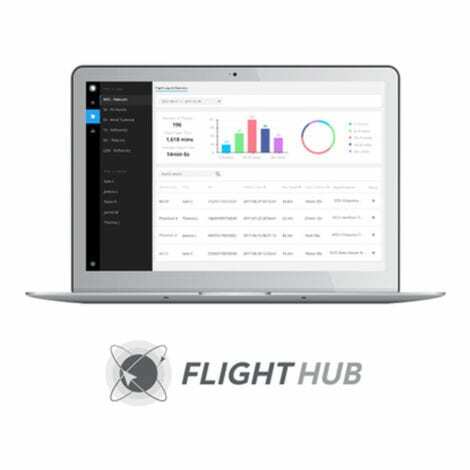 This gives asset managers, planners and maintenance teams an accurate, visual record of the condition and specific position of each and every part of the network. This level of additional intelligence can be crucial in urban environments or new developments where different teams require different levels of information to ensure that this critical infrastructure is protected and fully functioning. It’s not just powerline surveys which can benefit from applying drone technology. Any above ground survey which requires close inspection of critical infrastructure could be further enhanced by drone derived data. Telecoms companies were some of the first to leverage drones for surveying, mitigating the risks of working at height and speeding up the data gathering process on vulnerable and vital assets. American communications giant, AT&T started using drones to survey and protect their infrastructure in 2016.